This chicken was so proud, strutting around displaying all that head stuff. 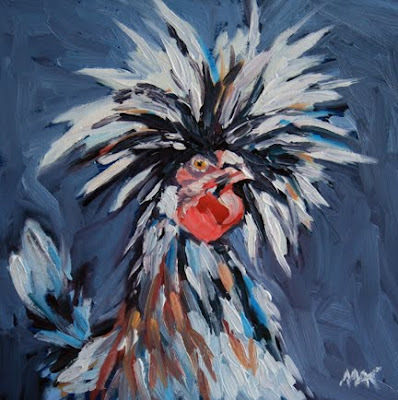 I had never seen a chicken like this, and was quite taken with her!! If you've never seen one, you might wonder if it's real, hence the title. Actually, there were several, they were very entertaining.